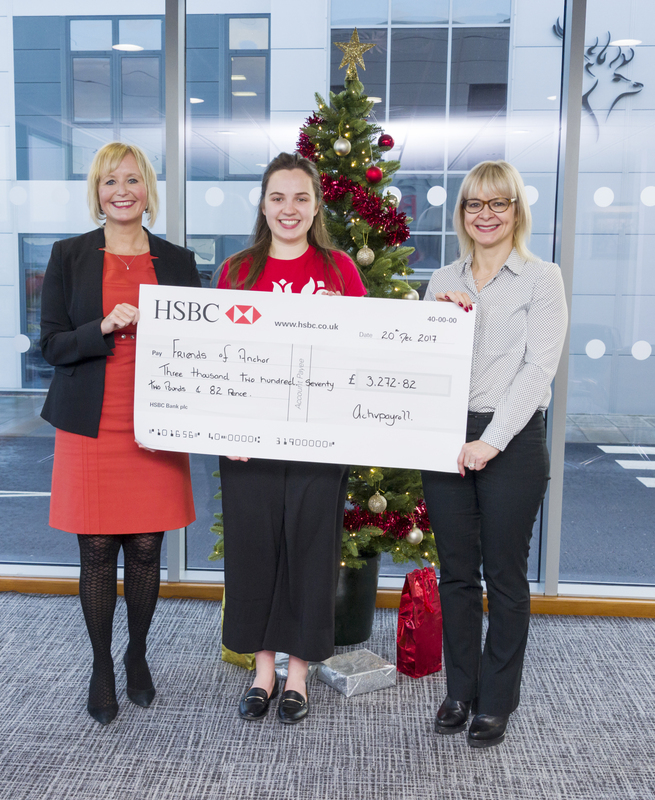 Through a range of challenges, the Aberdeen and Edinburgh activpayroll teams have raised over £17,000 for Maggie’s, Friends of Anchor, SAMH (Scottish Association for Mental Health) and Children 1st. The motivation to raise funds this year came after the success of the 2016 CSR campaign #activAlison that saw activpayroll CEO, Alison Sellar, fundraise over £21,000 for charity in just eight months by taking on two momentous cycling challenges. Although activpayroll took part in various activities in 2016 to help #activAlison, this year the team wanted to play a bigger role in the fundraising. 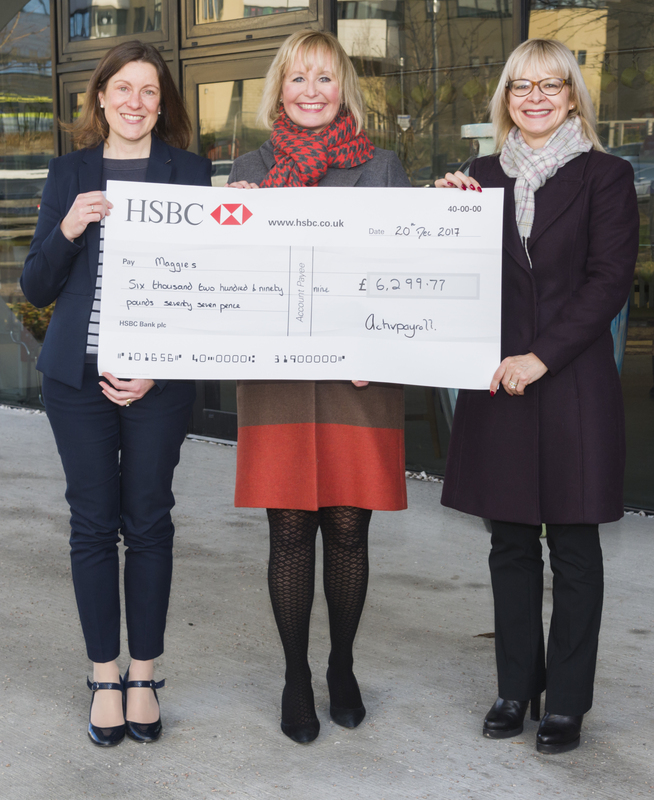 Having raised funds for Maggie’s and Friends of Anchor in 2016, it was agreed that the team would support these two charities again, with the two charities being close to the hearts of many in the team. To raise funds for Maggie’s the team took on the Balmoral 10K, Ride the North and new to Aberdeen in 2017, the Maggie’s Culture Crawl. For Friends of Anchor, two teams from activpayroll were formed to take on the Anchor Wipeout and various team members also took part in an all-day cyclothon at Sainsbury’s. 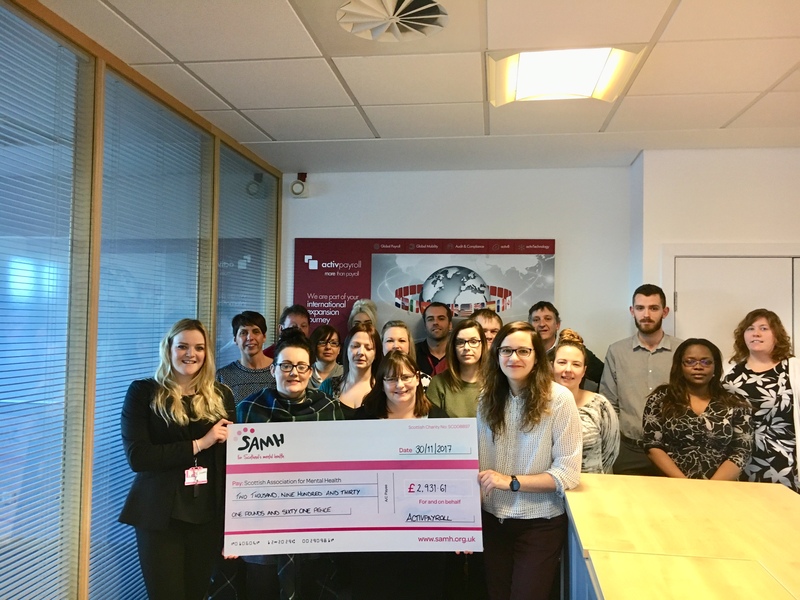 Wanting to help as many causes as possible, activpayroll also put its efforts into helping two other Scottish charities, SAMH (Scottish Association for Mental Health) and Children 1st. The Edinburgh and Aberdeen offices completed challenges including the 26 mile Aberdeen Kiltwalk, Edinburgh Kiltwalk, Loch Ness Marathon and Forth Bridge Abseil. Alison Sellar, CEO of activpayroll, said: “We’ve always seen charity as a high priority at activpayroll, however this year the team has come together to take part in some seriously demanding challenges. I am immensely proud of the team and what they have achieved. We already have people in the office discussing what challenges we should tackle in 2018”.